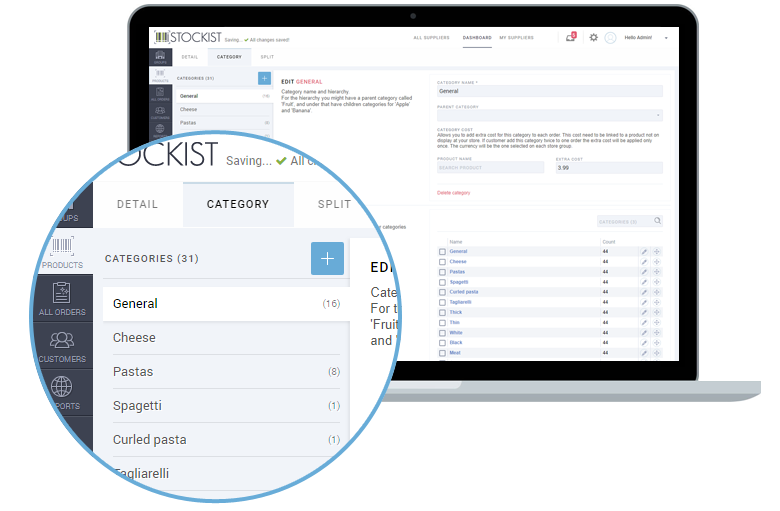 iStockist is the best software platform for running your internet wholesale store. Give your customers an easy buying experience with our online ordering system. Increase customer loyalty with our easy to order system. Attract new customers, sell 24/7 & grow your revenue. The best eCommerce platform for wholesale. We handle millions of euros of orders for forward-thinking manufacturers and distributors. First €1,000 orders free. Start selling! 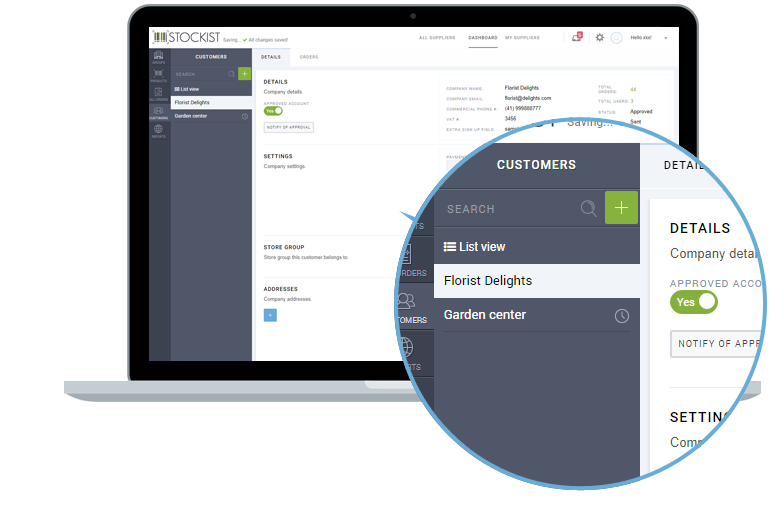 Allow customers to check your stock online, browse products, place & track orders easily from their mobile device in real-time. Increase efficiency & reduce costs by replacing manual processes with self-service ordering. Your store opened 24/7. You have full control on which product catalogs and prices each customer can access. 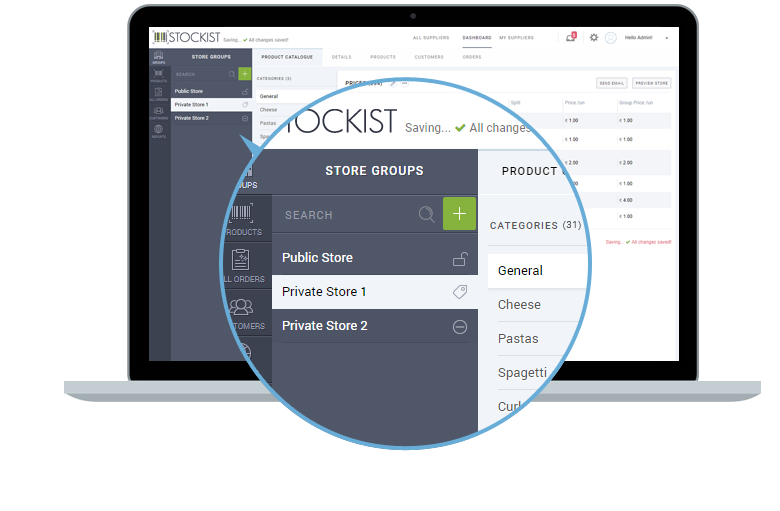 With iStockist you have ‘Store groups’. Each group is a different store for your customers. You can have as many groups (stores) you want and each one can hold as many customers as necessary. The products that appear on each store are the ones belonging to the product catalogue of each customer’s group. There you can add prices to all products. These are your customer’s favorite product lists. 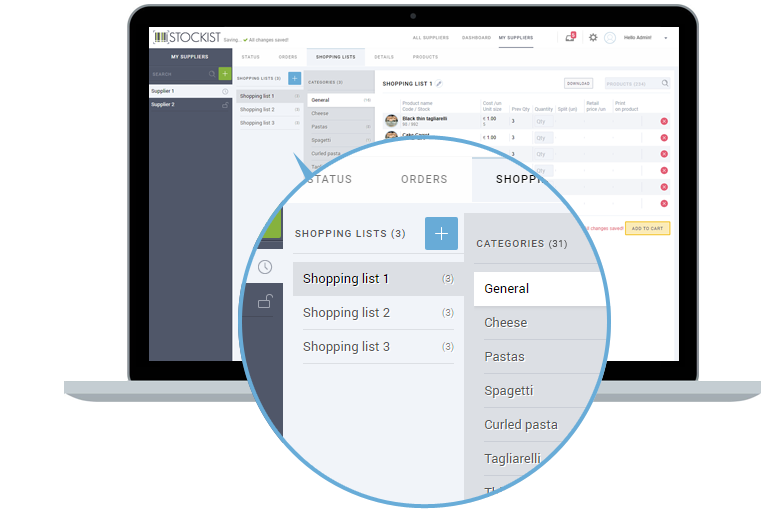 They can create as many lists as desired and in one click place an order for all products saved. You can help your customers to create their preferred list of products by adding new ones to their account. 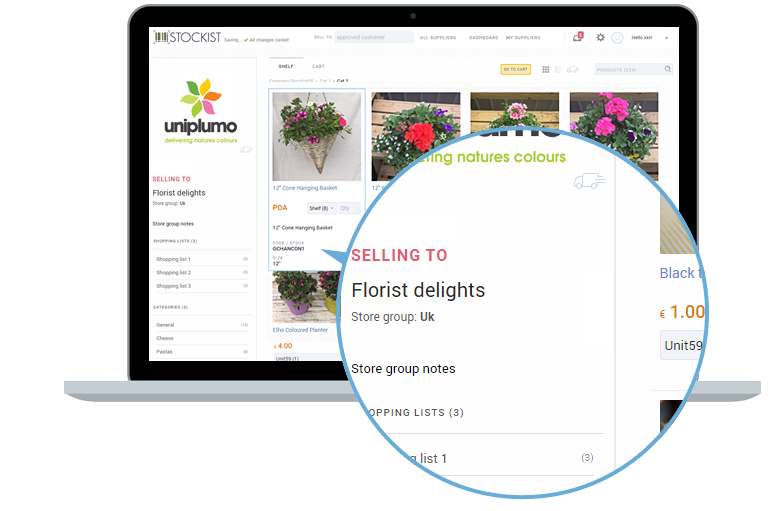 Make it easier for your customers to browse through your products, find offers and promotional items, with the product categories filter. 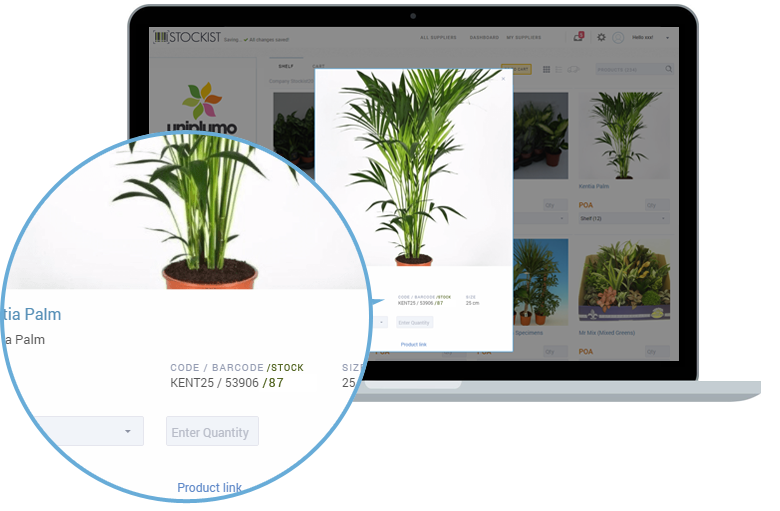 A bonus for your customers is that they can click on their created favorites list and have those products displayed on the store for easy checkout. 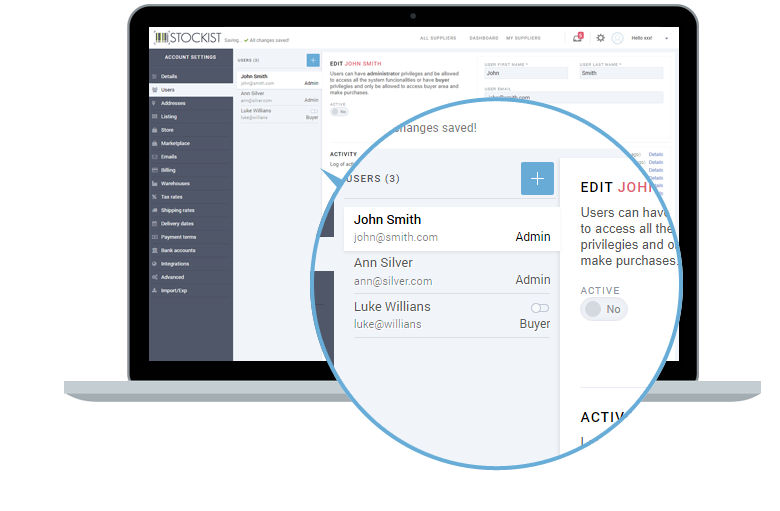 Let your employees manage your wholesale store for you adding them as the account administrators. You can have as many admin accounts you need. With this account your employees will have access to all main features. 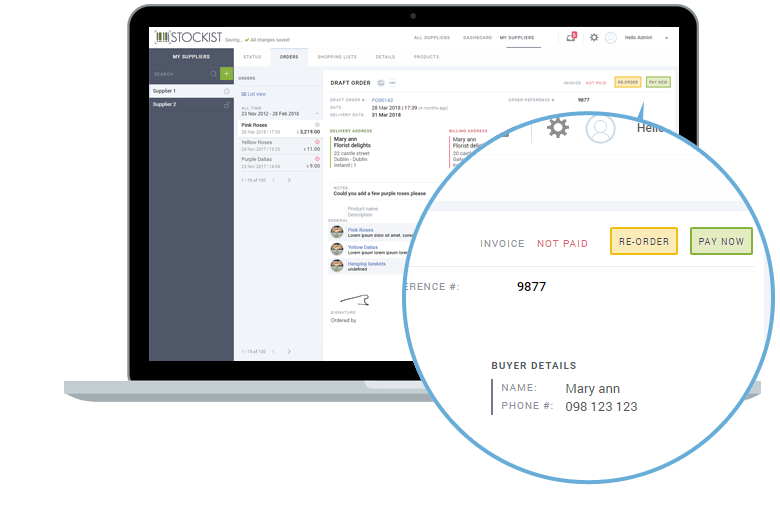 Allow your customers to easily make repeat orders of products they purchase frequently from you. With the order history page they can keep track of past orders and make a new purchase from a previous one, in one click. Set warehouses and quantity you have in stock for each product. Your customers will be able to see the amount of products available for purchase on your store. You have the option for one Public store where everybody can buy your products without a trade account with you. And multiple Private stores, which can’t be accessed by customers without an approved trade account. It’s your choice. 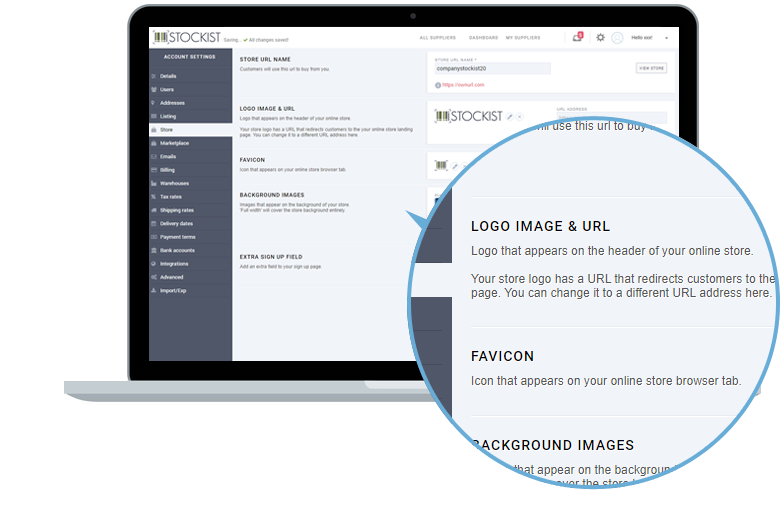 With iStockist you can have your own store URL (https://store.youcompanyname.com). Customize your stores with your company logo, background images, icons, emails your customers receive and much more. Some of your customers still calls you to place orders? No worries. 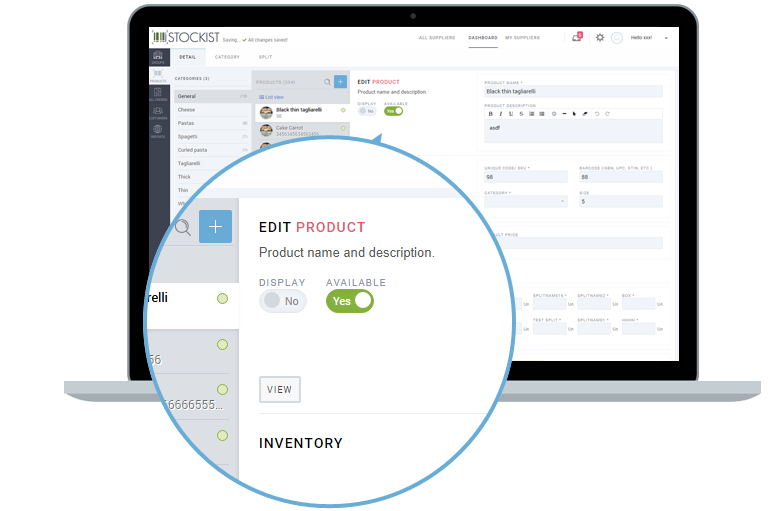 With iStockist you can place orders on their behalf. On the ‘Sell to’ area simply click on your customer and the store he is allowed to see will be there. Select products, give discounts & place the order for him at ease. You can have as many customers as you want in your account. Your customers can apply for a trade account with your or you can send them an invitation. Either way as soon as you add them to a store group, that product catalogue will be available for purchases. You might buy some of your wholesale products from another wholesale supplier so what you can do is to automate the orders for those products. 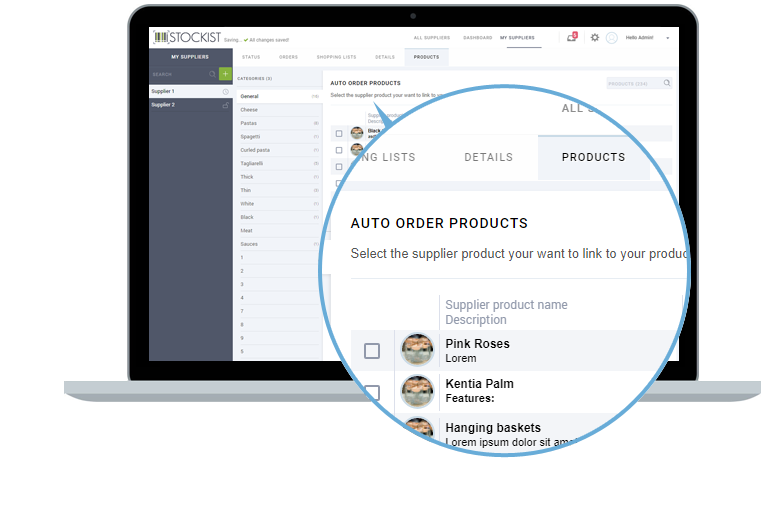 Everytime a customer buy from you, the order for the specific product goes directly to your supplier, which will send you the right amount of products ordered by your customer. You can have an unlimited amount of products on your account. On the product page you can edit the details fast, everything is in one page easy to find and update. Empower your trade customers to browse your products online & make self-service orders anytime via phone, tablet or desktop with our easy to use ordering system. 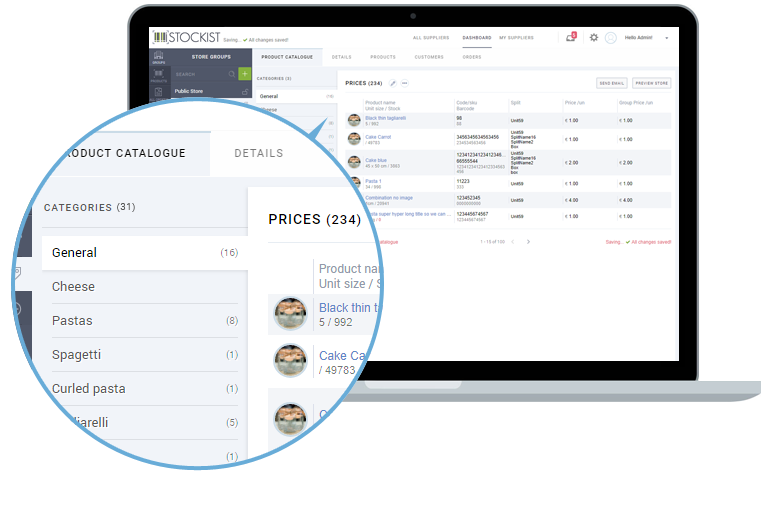 Configure multiple pricelists, display available stock and much more. API available for seamless integration.